Financing your new vehicle doesn’t have to be a hassle. Here at Hamer Honda, our finance team is ready to help you afford your dream car. Whether you’re looking for a new, certified pre-owned, or used vehicle, we have a variety of options for you to get the financing you need. Getting an auto loan in the San Fernando Valley has never been easier! If you are still undecided about whether you want to finance or lease your new car, we can help! Come in today to speak with an expert about the best options for your next vehicle. 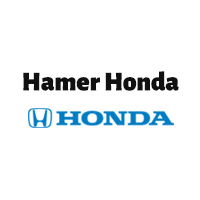 If you’re in the market for a new car, be sure to come buy and finance with Hamer Honda!